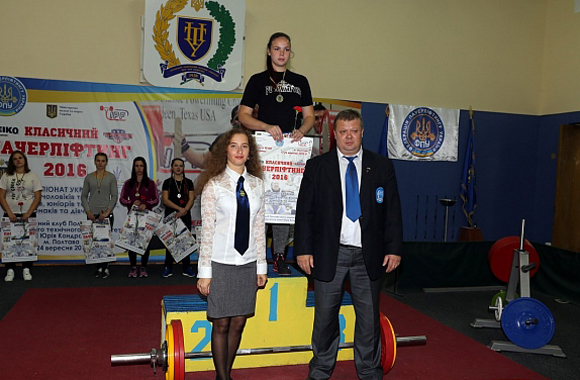 The victory of our students in the Ukrainian Classic Powerlifting Championship. 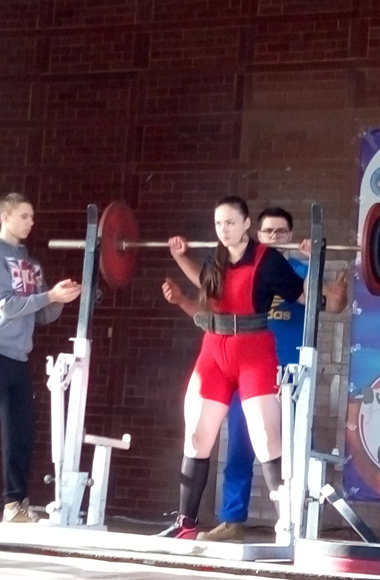 From September 17 to 24, the Ukrainian Classic Powerlifting Championship took place in the city of Poltava. This kind of sports is very popular among young people. This year the competition attracted more than 250 athletes from all regions of Ukraine. The fifth year student of the Educational and Research Institute of Pedagogy and Psychology Kocherova Polina (specialty – Speech Therapy, Special Psychology) participated in the Championship for the second time. And again, just like last year, she won first place in the weight category up to 84 kg among the participants, whose age does not exceed 23 years. The champion’s result: squats – 100 kg, bench press – 40 kg, pull – 147.5 kg. Amount – 287.5 kg. The Educational and Research Institute of Physical Education and Sports congratulates Polina with success and wished her further success in sports arenas and in life!